Observations of an only child raised by a single mother with clinical depression. 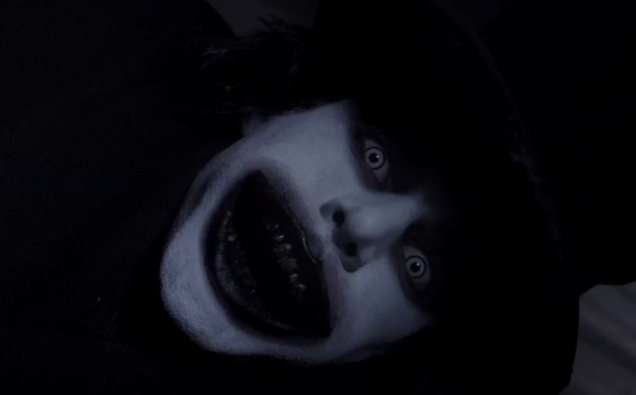 For a spoiler-free introduction to The Babadook, check out John Lepper’s review: HERE. If you’re a regular visitor to The Blood-Shed, chances are you’ve heard me gushing about The Babadook; it topped my list of the Best Australian Horror Movies, tied with Housebound for the #1 spot on my list of Best Horror Movies of 2014, and I even wrote about the pop-up book from the movie being developed into an actual book. And while I doubt anybody would accuse me of being obsessed with the film, it obviously I’m a big fan and proponent. 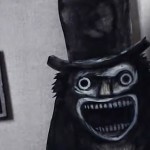 While I’m hardly the only horror writer who was blown away by The Babadook, the films also has a surprising number of detractors—which really baffles me! How could a film that I consider nearly perfect be described by others as “over-hyped”? 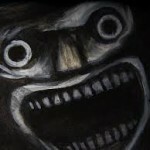 How could a film that scared the hell out of me be called “boring” in various forums? How could a movie that made perfect sense to me be considered “confusing”, “vague”, or “lacking in answers” by anyone? The most common complaint I hear about the film lead to a personal epiphany. Every time someone griped about “that annoying kid” I found myself getting uncommonly defensive. I mean, sure, I get it: He’s incredibly rambunctious and he clearly drives his mother crazy; he’s a handful to say the least. But why were people expressing a desire to “reach into the screen and wring his little neck”? More importantly, why did it bother me so much? 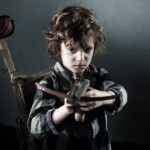 Here’s the epiphany: While most adults connect psychologically with the mother, Amelia (played by Essie Davis), interpreting events from her perspective, I was clearly identifying with the boy: Samuel (played by Noah Wiseman). This was especially easy in my case, because I saw so much of my younger self in him: I’m also an only child, raised from infancy by a single mother who suffered from clinical depression. 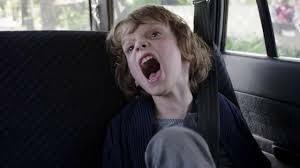 From the moment The Babadook delivered its premise, I felt a camaraderie with Samuel, relating to him very directly and in specific ways that most people won’t. Where some saw the actions of a brat, I saw a boy fighting to be seen through a cloud of depression. 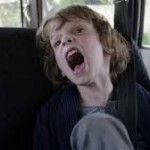 What some considered hellacious behavior, I interpreted as the actions of an isolated, emotionally neglected child who’s too smart for his own good. The disastrous outcome of a birthday party he attends (“I broke my cousin’s nose in two places!”) illustrates an utter lack of social maturity, yes, but how can you blame him once you understand his sad intricacies of his life? And on a personal note: Does this mean I was considered unbearable back when I was a bored, hyperactive tyke—and this is why none of Samuel’s actions bothered me? If so, I can live with that. 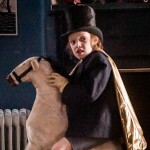 As for confusion regarding the nature of the titular Babadook, the nebulous being that resides in dark shadows, I never doubted that he’s a manifestation of Amelia’s depression; whether he’s a physical being or a figment of hallucinatory symbology is irrelevant—all that matters is that the fear he inspires is very real, and dangerous. Both Amelia and Samuel perceive the fiend as an exterior threat, which is apropos for a dysfunctional family. Depression is seen as an invader, a stranger, and a monster; even when it becomes clear that Amelia is deeply bound to the demon, it’s always seen as something that comes from outside of herself. 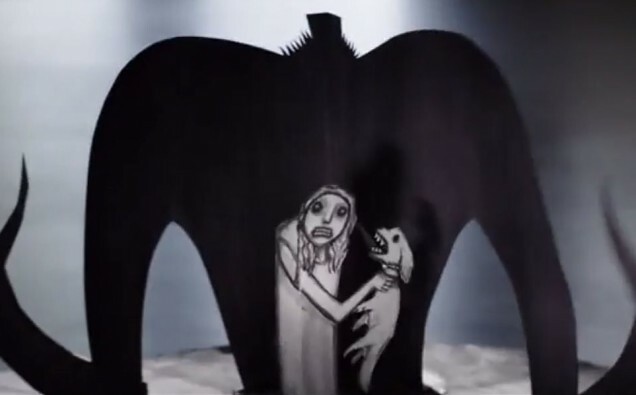 In this respect, The Babadook is not a metaphor for a monster behind a mother’s mask, rather a possessing entity ravaging an otherwise bright, loving soul. Nowhere is this point illustrated more succinctly than when Samuel shoots Amelia with his homemade dart gun: After landing a defensive, near debilitating hit, he’s quick to say, “I’m sorry mommy!” Even though she was attacking him, on a murderous jag, he’s able to separate the actions from the person. Just like I learned how to do with my own mother. While I never feared that my mother might kill me, there are plenty of things that, for a child, are just as scary as death, like abandonment or feeling hated. Since a child’s mind can’t comprehend the complexities of mental illness, its symptoms are often terrifying. But even at her most distant and despondent, I always saw my mother as the absolute center of my universe; even when I drove her crazy and depression prompted her to respond with disparagement, I was always compelled to please her, to protect her, and to love her. Now, as an adult, it’s no longer difficult or painful to separate the person inside my mother from the demons that sometimes cloud her light. The movie’s conclusion, which seems to confound so many, starts out with Samuel and Amelia gardening: They fill a pot with soil and as many worms as they can find. Amelia then takes the pot down into the basement alone, where she faces what remains of Mr. Babadook; she feeds it. An invisible force seizes her, appearing to overpower her until, eventually, she’s able to calm the beast and escape its grasp. Empowered, she returns to the garden, where she and Samuel cuddle and gaze happily into each other’s eyes. 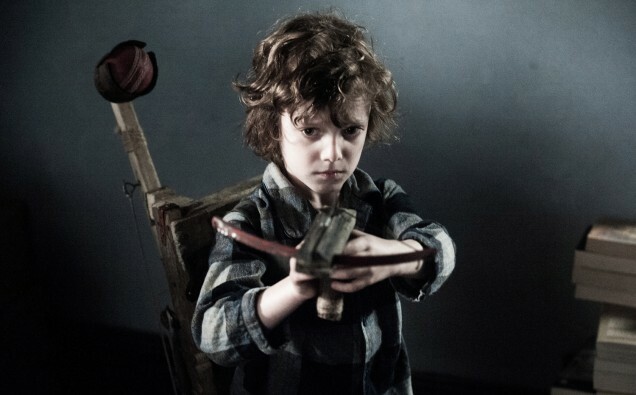 During the film’s climax, Amelia and Samuel were able to trap Mr. Babadook in the basement. Since it thrives on grief, it makes sense that he would be confined to the room where Amelia stores reminders of her dead husband. 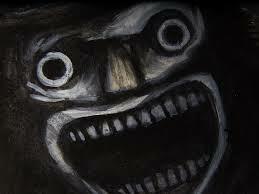 Here, surround by wounding memories, Mr. Babadook maintains his presence. He won’t disappear completely because depression doesn’t work like that; you can understand it, face it, control it, but it never vanishes—rather it lurks in dark places, opportunistically waiting for a moment to re-emerge. The only way to keep grief and depression from manifesting into a monster is to face it regularly—allow it to overcome you before facing it and re-containing it. “Digging in the dirt” is often used as a metaphor for facing one’s mental demons; Amelia does this consciously and willingly, understanding that this is the way to keep The Babadook in check, that this is healthy, healing behavior. Sure, worms and their connection to decay can be given a somewhat sinister interpretation, but isn’t the act of consuming dead flesh the first step in rebirth and renewal? 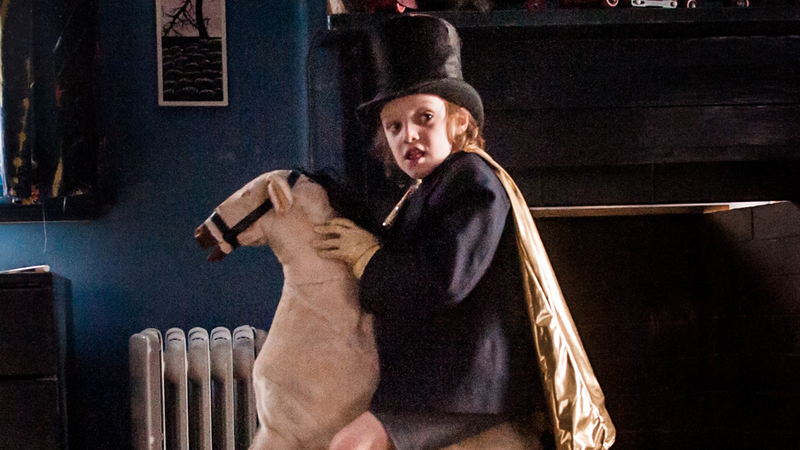 While it clearly possesses a power of its own, The Babadook is very much Amelia’s own creation, her Frankenstein. On a rare moment among her peers, Amelia reveals that she’s a writer of, among other things, children’s stories. I also noticed right away that her fingers were almost always stained black, as though with ink or charcoal. While she never owns up to it, Amelia made the phantom pop-up book herself; whether as a means of deliberately harassing Samuel or merely an artistic outpouring of her subconscious, is open to interpretation. 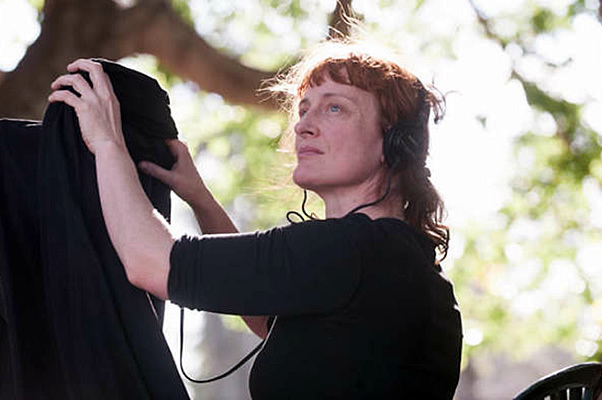 Ultimately, I have no way of knowing if these observations are what writer/director Jennifer Kent intended, or if perceived similarities to my own childhood created parallels that don’t actually exist. Whether you agree with my analysis or not certainly depends on your own life experiences and personal perspective. But for the naysayers, hopefully my insights give you a greater appreciation for this deeply nuanced film. 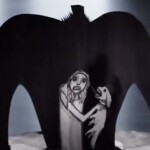 What did you think about the deeper themes presented in The Babadook? Let me know in the comments section. You’re absolutely right that folks have vastly differing opinions of the film and that’s how it should be. There were times when I was honestly afraid that Amelia was going to kill her son which, to me, was terrifying; had she succumbed to her urges, she would have relinquished her insanity. She may have never descended completely into madness, but it was close. Thanks for taking the time to share your thoughts. I’ll definitely check out the other films you recommended. Loved the in depth analysis. Truly insightful and truthful. I also found myself identifying with the child (as I too had a single mother) and I found myself able to identify with the mom as well. ( I have a 2 year old boy) so as I was putting myself in both of their shoes, I felt just as confused as they were. It totally makes sense that she would write the book too. I was never able to figure out why she had black hands, I kind of assumed it was a metaphor for the fact that this was all on her. She was truly responsible for the situation. Because as the parent it was her job to pull herself up by her boot straps and maintain a happy healthy lifestyle for her son after his fathers passing. Which she truly failed to do for him. Adding that to the fact she wrote the book is awesome!